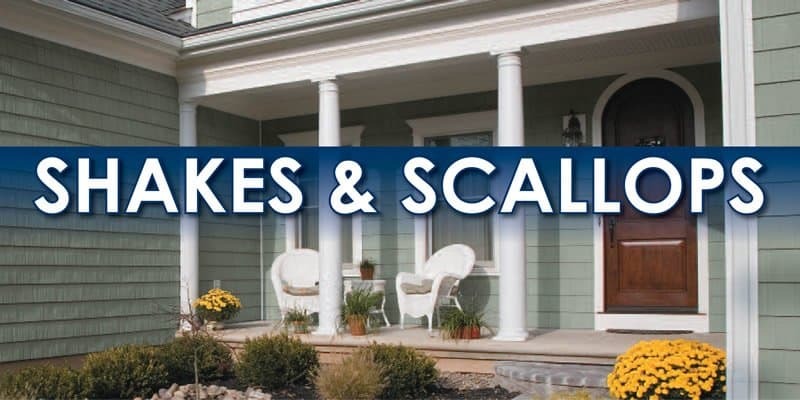 Weather Tight offers a variety of shakes & scallops options to give your home an elegant look.. Integrated Panel Locking System:This patent-pending design locks panels firmly together for increased strength and structural integrity, as well as a more uniform finished look. Self-Concealing Side Tabs:The self-concealing side tabs feature the same cedargrain detail as the panel to hide seams where panels are joined, creating a virtually seamless appearance. Extended Panel Length: Approximately 40% longer than typical shake and scallop profiles, offering a smother finish and less seams. Wind Resistant: In independent laboratory tests, Fairhaven Sound Single Select remained secure in Category 5 hurricane-velocity winds.